Ferrari Enzo is a 2-seater sport car which was released by Italian Ferrari company during the period from 2002 to 2005 and named in honor of its founder Enzo Ferrari. For the first time this model has been presented on a motor show in Paris in 2002. As a matter of fact, Ferrari Enzo a high-grade racing race car of the Formula 1 which has been redesigned for city streets. This excellent sports car is not anything other than as result of work of engineers of Ferrari and designers from Pininfarina. 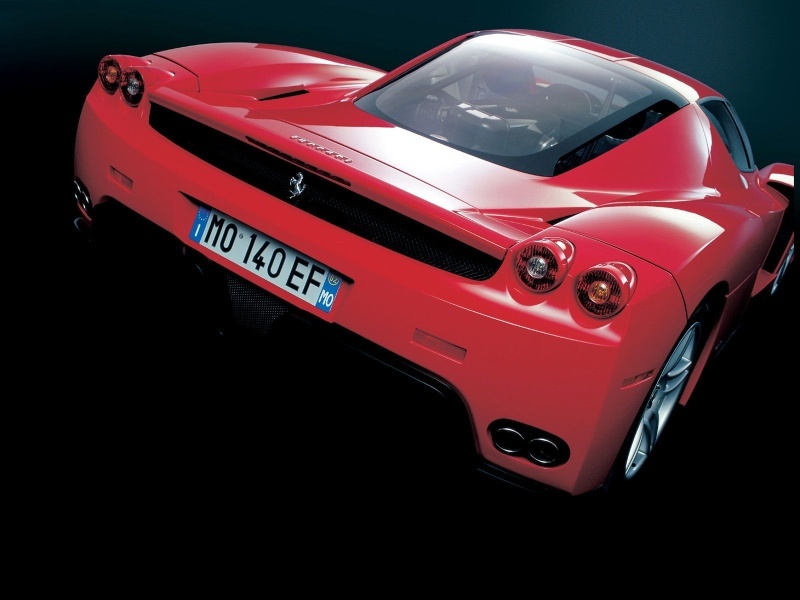 Body Enzo Ferrari is created from carbon fibers that has allowed to make its easy and strong enough. At the first sight at it is possible to notice that it all is penetrated by wide bells of air inlets. And it far not simply concept of appearance. Such design has allowed to achieve distribution of air for increase in clamping force and effective cooling of the engine without essential aerodynamic losses. Also it is necessary to note and the offered variant of opening of doors. They rise upwards at an angle 45 degrees. In any way it is impossible to name sport car interior design magnificent – it truly sports, but it is not deprived the comfort including such options, as an electro package, climate control and a qualitative audio system. However it is far not each person conveniently to be arranged at the wheel (we will notice, not the) Enzo Ferrari. The matter is that the seat is made separately for each customer, proceeding from its constitution. As to registration seats-ladles, inserts in the doorway, under the forward panel and on the central console are upholstered by a green skin, and the panel and a steering wheel are made from light carbon. The small wheel has an equal top part on which there are the light-emitting diodes, allowing to supervise work 6-step sequential transmissions with system of automatic switching (the gear change occurs only in 15 milliseconds). Switching of transfers is carried out by under driving wheel switches. Yellow dials of a speedometer and a tachometer are marked to 400 km/h and 10000 rpm. Behind the back of the driver V12 60-valves engine in volume of 6.0 liters was placed. Capacity of this engine has made 660 H.P. We Will notice that such indicators are reached without application any turbo imperforations. Engine V12 for model Enzo – the first of new generation of engines of Ferrari. Its architecture has been based on engine V8 which was used by Maserati company (Ferrari affiliated company). On Ferrari Enzo 19-inch wheels put in low profile tires Bridgestone, and 15-inch carbon-ceramic brake disks from company Brembo which allowed to stop a high-speed race car quickly also were established. The maximum speed of the car made 300 km/h, and to 100 km/h the sport car went in 3.3 seconds. Last Ferrari Enzo has been collected in June, 2005. In total 400 copies have been let out. Ferrari Enzo – the unique sport car of family Ferrari named in honor of the founder of mark of Enzo Ferrari, is let out by circulation of only 399 copies. To see Ferrari Enzo – already big good luck. This show remains in memory on all life. Predatory and prompt as the fighter aircraft, Ferrari Enzo becomes similar to the flying machine when its both doors rise at an angle 45 ° even more. To sit down for a wheel of this car – great honor. Not everyone can cope with that quantity of electronics with which it is equipped by Ferrari Enzo, and not all under force its power. 12-tsillindrovyj the V-shaped engine in 660 h.p. of all for 3,6 seconds breaks this race car from a place till the speed in 100 km. ч. The maximum speed in 350 km/h. It seems simply other-worldly. 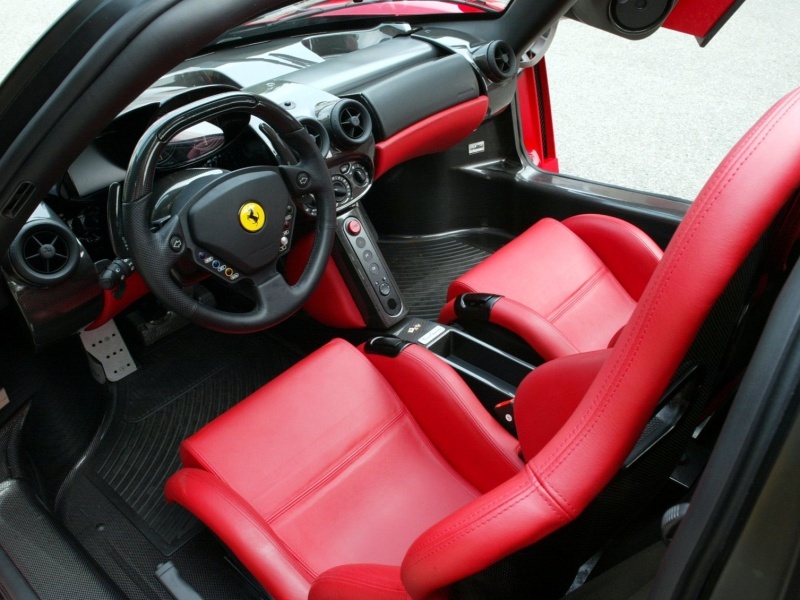 Seats at Ferrari Enzo are produced individually for each customer depending on its constitution. The salon of Ferrari Enzo is deprived any excesses, there is an electro package and climate control. The steering wheel is made from carbon and has in the equal top part light-emitting diodes for control of work automatic 6 step sequential transmissions. 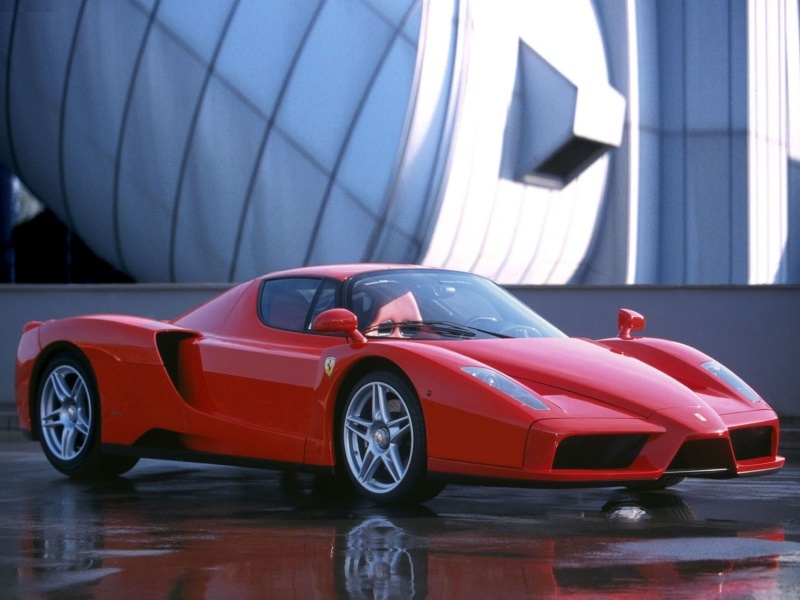 If to you will carry to become the owner of Ferrari Enzo – consider that has come true almost impossible! This car – rare pearl among Ferrari jewelry.